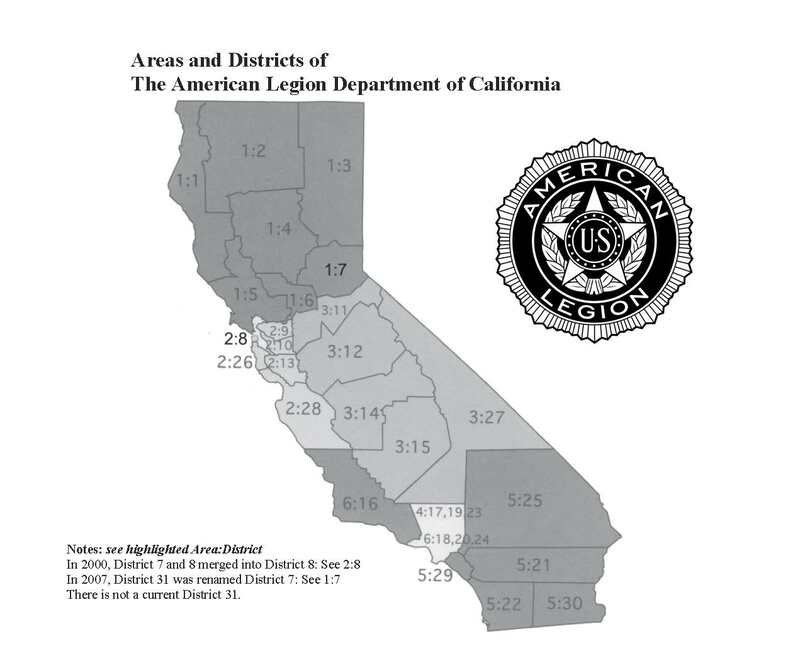 The Department of California is divided into 6 Areas, which are further divided into Districts; there are a total of 30 Districts in California. The 12th District is in Area 3. 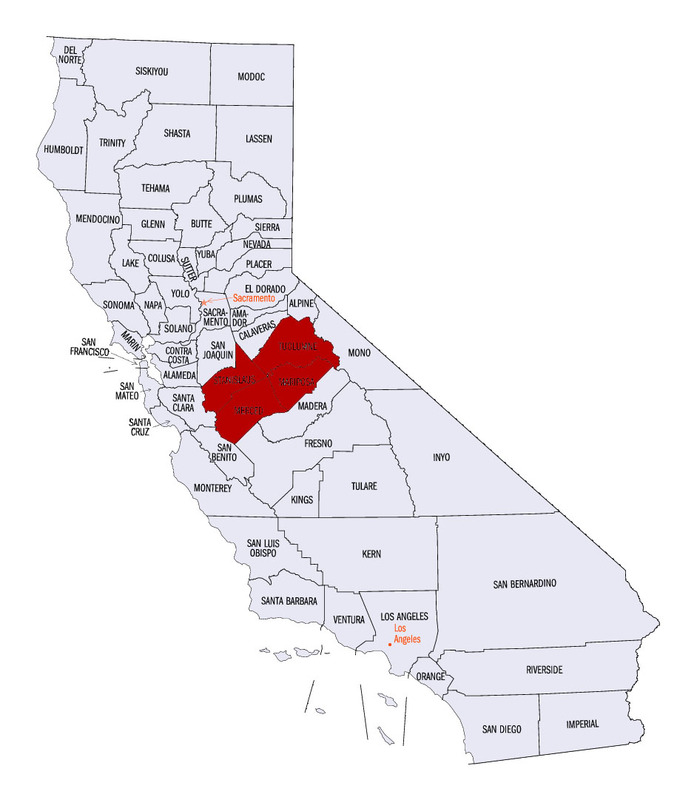 The 12th District of California includes the counties of Stanislaus, Merced, Mariposa, Tuolumne, Mono, and that portion of Madera County lying north of the Fresno River and that portion of Inyo County lying north of a parallel line due west from the northeast corner of Tulare County to the California/Arizona state line. There are 15 posts in the 12th District, with a total of 2,485 members as of June 16, 2017.